The Canadian tourist visa rejection is nothing to feel disappointed about. So, the visa can be rejected due to reasons which are not precisely in your control. Why does your Canada tourist visa get rejected? The Canadian government needs to be sure whether you are not planning to start working on this visa. Therefore, it’s quite critical to provide the absolutely exact documents which can show that such a thing won’t happen while you are staying on this visa in Canada. Despite providing the documents like pay slips of months before the visit, the Canada tourist visa offer can still face rejection if the leave letter from the employer is not attached. This leave letter proves that you are going to get back to your home country to continue with your employment when the visa duration lapses. Apart from that, the will to go out of the country is also proved through various others kinds of documents which include the papers showing your house ownership. Since you own a house in your native country, you are likely to go back there. There have been incidents when the candidate planned to visit the country for a period of 1 and a half month and the visa got rejected because he failed to show the employer’s leave letter or any other documents which were needed to prove his will to depart from the country. The reapplication for the tourist visa should only be done if you have some more information to provide which was not included earlier. If there isn’t any thing new to add your application, there are chances that any reapplication is denied too. The CIC does not have generic reasons for declining this Canada tourist visa. Sometimes, the visa is not denied and the time needed for the visa grant is long because there are a lot of people who have asked for it. Sometimes, the purpose of the candidate for CIC is not good enough to be given a visa. The cases where the purpose is not strong enough for the CIC to give a visa to the candidate can be those cases where the candidate wants to come to Canada for a long time just for meeting someone residing here. When you want to come to Canada and stay here for a duration which is more than 1 month, its better to cite the reason as something more genuine, like you desire to pursue a course for that much duration of time. A candidate needs to provide a sufficient fund balance to get this visa. If you are having 1k in your bank account, per month after deducting the amount required for accommodation, you can get the visa quite easily. The Canada visa can also be denied due to simple reasons, when the candidates does not have the notarised letter of invitation from someone who is present in this country. This letter should be sent by Canadian relative to his nonCanadian relative who is then supposed to send it to the VFS Global. In case, this procedure is not followed, you cant get a Canada tourist visa to be with someone in Canada. 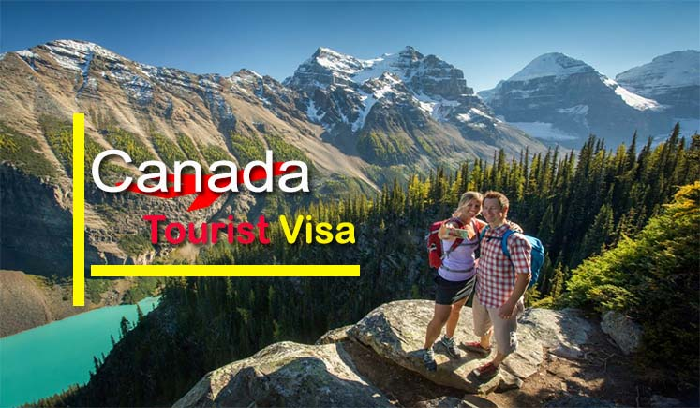 Canada tourist visa Canada tourist visa. permalink.